Postal worker Diane Jansen, 59, died of a stroke after being attacked by a pit bull. Escondido, CA - A postal worker that was attacked by a pit bull on March 1 has died, reports The San Diego Union Tribune. 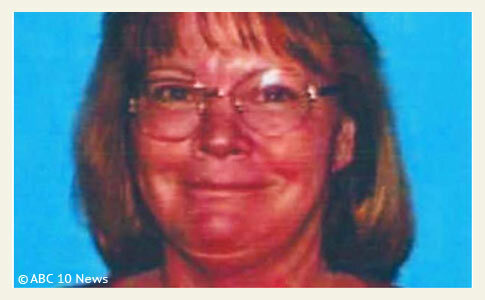 The San Diego County medical examiner's office identified the victim as 59-year old Diane Jansen. She died Sunday at Palomar Medical Center. The cause of death was listed as left basal ganglia hemorrhagic stroke due to hypertensive atherosclerotic cardiovascular disease with dog bites listed as a contributing factor, according to the medical examiner's report. "The animal, which was not on a leash, was in a residential garage with several children just before it went after the postal worker, according to police Lt. Chris Wynn, who said the dog "just shot out of the ... partially closed garage door." When rescuers reached Jansen, who had sustained multiple dog bite injuries to her legs, "her speech was slurred and she became unresponsive." Jansen was taken to Palomar Medical Center, where she was diagnosed with intracerebrral hemorrhage. Hospital officials removed Jansen from life support Saturday, March 3 and she died the following day. Officers from the police department and human society investigated the incident and found that no crime had occurred. U.S. Postal Service spokeswoman Eva Jackson confirmed the incident to The San Diego Union Tribune on March 7th, but did not discuss further information due to ongoing investigations. California has now had three Postal workers killed by dogs…. 2 by Pitties and 1 Rottweiler. Pre-emptive BSL is a CROCK! I bet the USPS would like "dog bites" removed from the medical examiner's report, as it places them on the hook financially. If an employee dies of pre-existing medical conditions, the USPS pays nothing. If an employee dies, in even part, due to a dog attack, that is a different matter. The USPS has ALWAYS supported dog owners (Be more responsible!) in the dangerous dog mess, even at the cost of their own employees who face one of the worst tasks of all — Delivering mail to the homes of all dog owners! I guess this is why they kept her death out of the papers as long as possible. the post office is trying to say she passed of a pre-existing condition. can't wait till the post office goes away. Having delivered those walking routes in Escondido I know what he is talking about. We have very little protection, and almost no protection from the post office after an incident. I guarantee you the 45 incidents reported in 2010 is extremely low because some carriers are scared get in trouble. The answer is simple, restrain the dogs, I don't care what breed. This was in no way her fault!! anybody who says otherwise is in denial and part of the problem. She is not the first carrier to die by way of a dog and unfortunately she won't be the last. We need the publics help and to be brutally honest, we don't get it, most people just laugh about our encounters with dogs. Typical mind numbing Nuttery on this mauling thread: "Scottish terriers kill many more people each year than pits. Its a fact"